The Solatube system is one of the world's most popular ways to get more light into your home. Whether you have small rooms that are in desperate need of natural light, or you want to brighten up large open plan living areas, there is a Solatube for you. The Solatube skylight dome may look like any other, but only Solatube rooftop domes capture more light even in winter because of its special designed optics. Keep rain on the roof and light in your living room. Solatube also has a range of 'roof flashings'. These specially-designed waterproof surrounds hold your Solatube, and are fitted to your roof to ensure the rain stays out of your home. These flashings have been built to fit the profile of any roof. This means that light is the only thing that you'll be letting in. Solatubes comes in different sizes to suit different sized rooms. Use a bigger tube for a bigger room, and a smaller tube for a smaller room. Get the exact one that gives you as much light as you need. Discover what this amazing product has to offer, and how it could light up your home. Every Solatube system comes with a 10 year warranty on materials and the workmanship. Rest assured, if your Solatube skylight encounters any issues within this period we will repair or replace the product at no cost to you. It's the right thing to do. 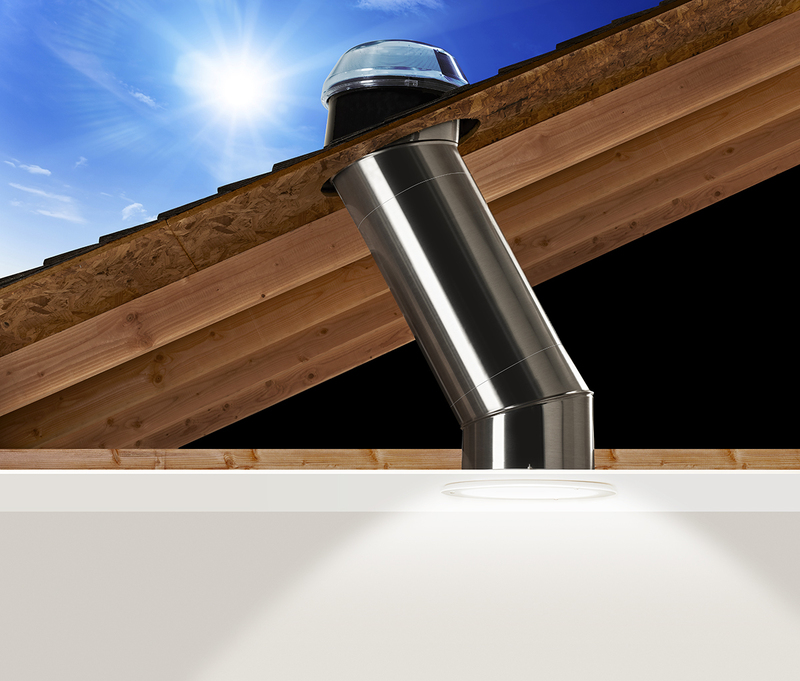 To see whether a Solatube skylight is right for you in your home, we want to offer a free in-home consultation where a certified installation consultant will assess where a Solatube can be installed in your home. Otherwise, you can check out the Solatube LED solution.